Since his early childhood, Paul Noël knew he wanted to be an artist. “When my friends were out playing sports I was in my room drawing all the time. I was never bored,” he says. Although he knew he wanted to be an artist his whole life, Paul has only gotten to fulfill this lifelong dream in the past six years after retiring from his Interior Design business of 39 years. 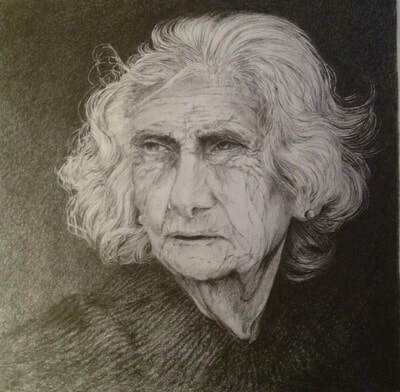 Paul is in the mindset that “artists should be well versed in several mediums”, so besides his favorite medium, oil, he also works with watercolors and does graphite drawings. Paul believes that “being humble is far better than a show off”, and he brings this lesson forth in his work. He believes that your heart will guide you in the right directions, and that continuing to learn something new everyday is a key part of who he is, and what makes him happy and successful. Simply put, his motto is: “Listen to your heart and never stop learning”. He is able to evoke strong emotions through his artwork, far better than by using words alone. “I’ve learned that you can touch people's souls and heartstrings with images that are meaningful to viewers.". Noël takes inspiration from the world around him just as two of his favorite artists, Monet and Klimt, did. “Everything that doesn’t move and everything that does. There is no limit to the inspiration around us every moment of our lives," Paul told us. 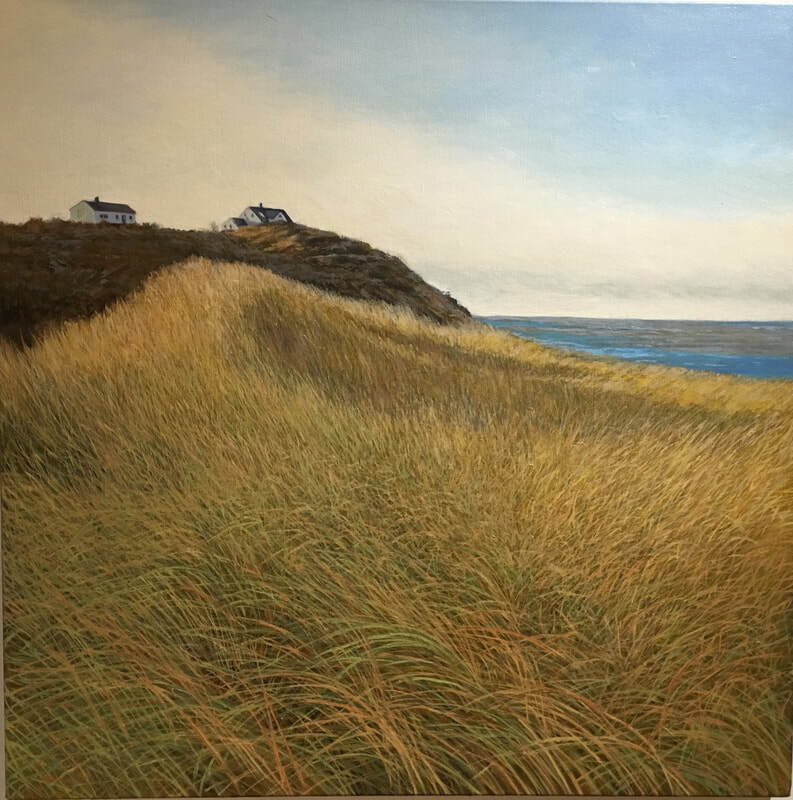 Paul decided to join the NAA in order to have the opportunity to showcase his work beyond his home state of Maine. “I decided to join the NAA because I liked the organization, and the people involved,” he says. He is having a Featured Artist Show at the NAA starting August 21st and showing through September 9th. 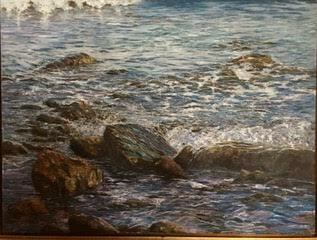 Paul is very excited to be showing a variety of his work including, landscapes, waterscapes, and still lifes. It will primarily feature oils and water colors with many different subjects ranging from “a single bird to an entire mountain range”. Noël is also a member of the New Hampshire Art Association, York Art Association, and the Copley Society of Boston. Along with these regional art associations Noël is currently showing at the NW Barrett gallery in Portsmouth and the Whistler House Museum in Lowell. He occasionally exhibits his work at the Charles Fine Art in Gloucester. Paul rents a space in the Village Gallery, located in York, Maine, where he shows a constant rotating selection of his art. A small collection of his “Spiritual Work” was shown at the New Hampshire Art Association in Portsmouth, NH in July. Want more of Paul? Visit his website www.pauljnoelart.com to see more of his work! Bella Nadeau is a Freshman at The Governor’s Academy and the author of the 2018 NAA “Meet Our Member” articles.